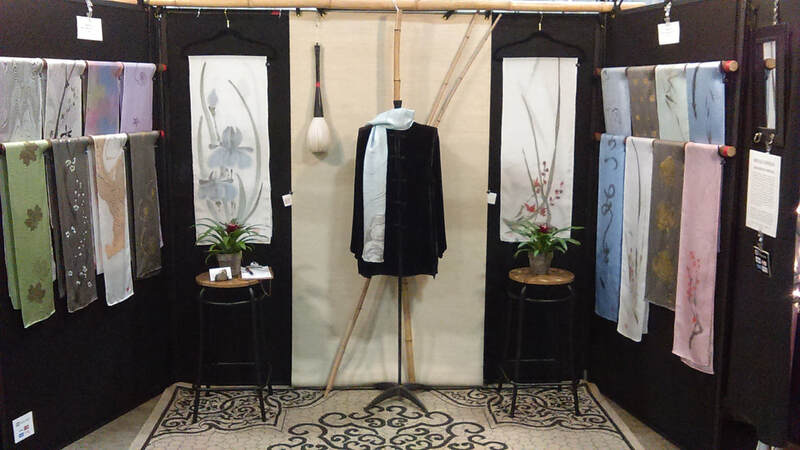 Asian style painting was done on silk long before paper was invented. 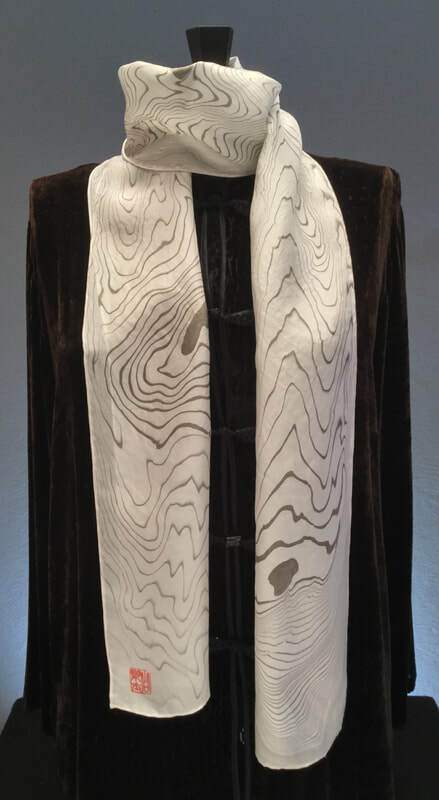 My scarves are designed one-at-a-time and produced by me in one of three ways or sometimes, combining techniques. 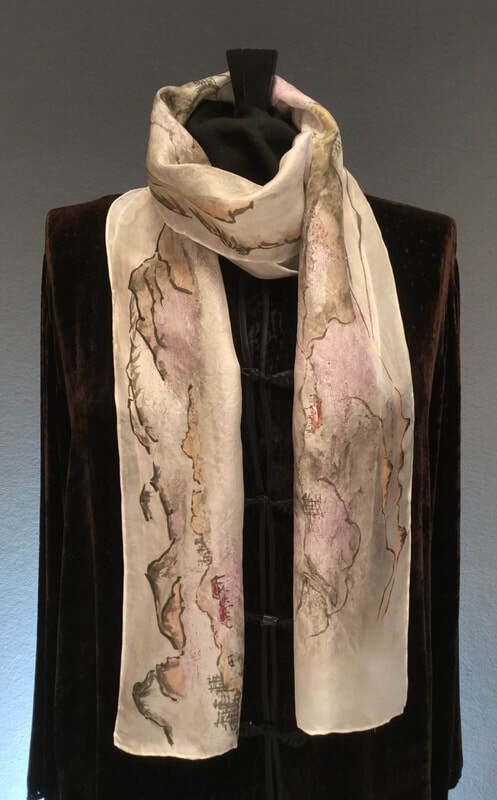 Each scarf is a unique, wearable piece of artwork that is color-fast, durable and may be hand washed or dry-cleaned. 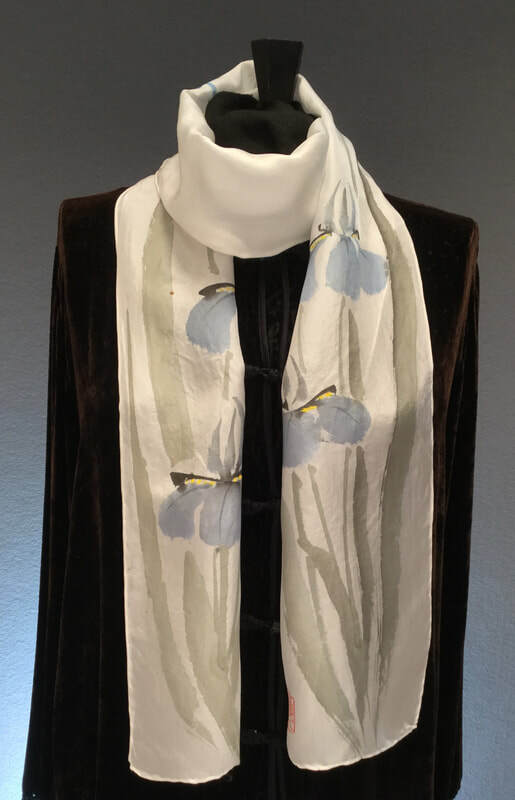 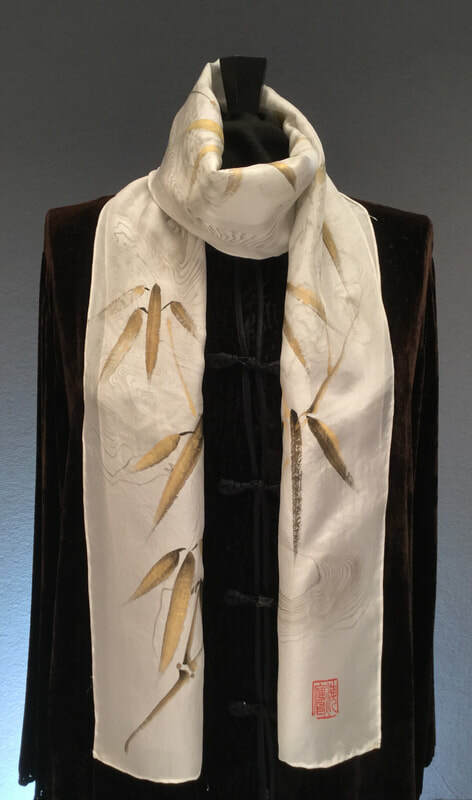 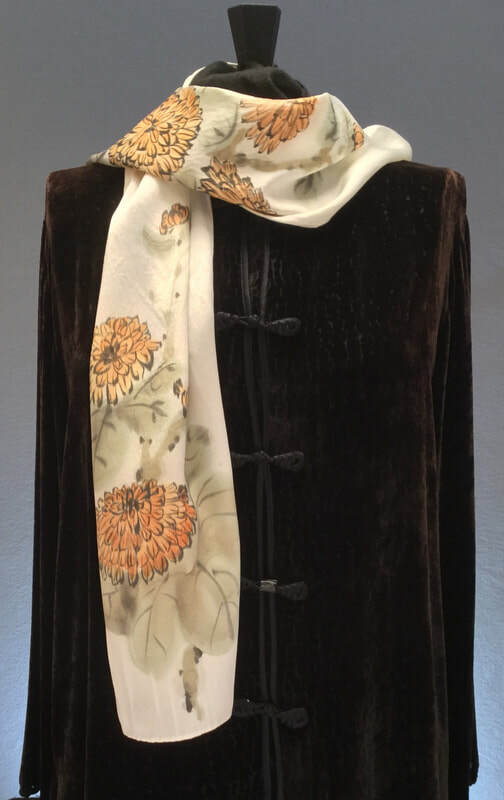 An elegant gift, each scarf comes in a signed gift box with descriptive info, and care instructions. 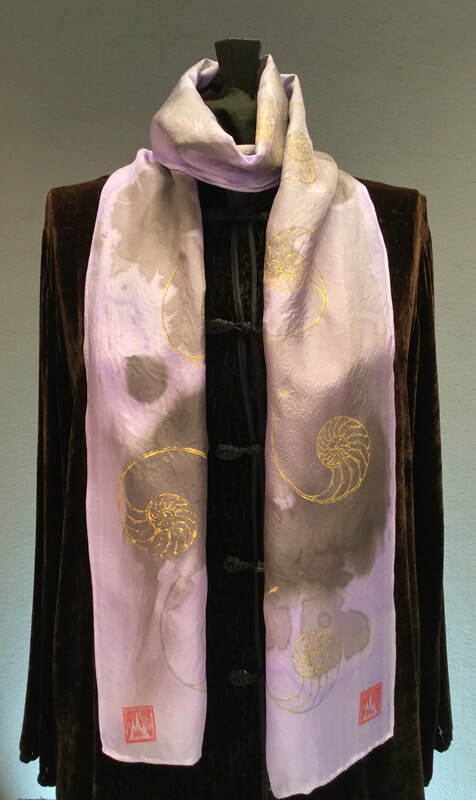 ​You can see my art and scarf postings on Instagram at #asianbrushpainter.